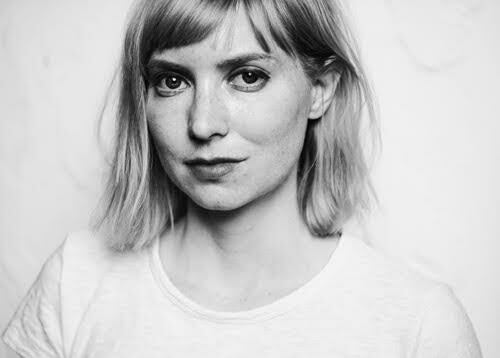 Meredith Alling is a writer living in Los Angeles. Her story collection, SING THE SONG, is out now from Future Tense Books (futuretensebooks.com). Her website is meredithalling.com. I’m learning to tolerate those peaks and valleys better now. What was the process for writing Sing The Song? Kevin Sampsell of Future Tense Books reached out to me last year to ask if I would send him some stories to consider for a collection. I was really excited, because Future Tense is one of my favorite small presses. It didn’t take too long for him to get back to me and offer to publish a book. At that point though, what I’d sent him wasn’t enough for a full-length collection (I had it in my mind that maybe he’d just want to do a chapbook), so I needed to write a bunch of new stuff. I took the time to do that, and once I had what felt like a full collection, I sent that over and we started working on edits. I think we only cut 2 or 3 from the batch I sent, and the rest went into the book. It was a fun process, but also stressful. Some days I felt good and excited, and other days I felt worried and scared. I’m learning to tolerate those peaks and valleys better now. It’s been a learning experience. All of the stories deal with the balance between the ordinary and the surreal, which I love. When putting together this collection, did you have an overarching theme in mind? I didn’t go into it with an intended theme, but themes emerged as I was writing and editing. A lot of the stories deal with anxiety, the body, and the uncanny. Of all the stories, which one was the hardest to write? Probably “Go Quiet.” It’s a very surreal story, but it’s a very emotional one for me, and I think that’s why I went so surreal with it. I didn’t feel comfortable just writing those feelings straight out. I’m working on that. What kind of baby are you? I’m a baby that writhes in bed with a bottle of Topo Chico. Like many people, I’m devastated by the results of the election and thinking a lot lately about what I can do to channel that feeling, whether it’s donating or advocating or making space for marginalized voices. Also and on that note, this essay by Ta-Nehisi Coates.